Fox-owned WJZY-TV Charlotte spent 18 months searching for a kidney donor for Army veteran Edmund Baines. WJZY told his story on air and nationally via social media. After many failed matches, Baines received a life-saving kidney last June. He recently brought flowers to the station as a thank you. Scripps-owned ABC affiliate KNXV-TV Phoenix and Sanderson Ford and Lincoln teamed up to salute brave Arizona veterans who after serving the country, are now serving the community. KNXV-TV issued a call for nominations to honor veterans who have gone above the call of duty in military volunteerism or activism. From almost 300 entries, a committee of community members helped finalize five honorees: Alan “AP” Powell, Frank Benavidez, Josh Grzywa, Patricia Hernandez and Samantha Bedore. Each honoree was featured on the KNXV-TV Salutes Arizona Veterans page, here, and was highlighted live on KNXV-TV News. They also received a $500 gift card. Beasley’s WMGK-FM Philadelphia raised $143,000 during its annual “John DeBella Annual Radiothon” on June 15 to benefit the local Veterans Multi-Service Center (VMC). In 10 years, WMGK has raised over $1 million for local veterans. The station also conducted a series of online auctions that included front row tickets to see the Eagles, Fleetwood Mac, Jimmy Buffett, Billy Joel, and Ozzy Osbourne. Hubbard’s WIL-FM St. Louis afternoon team Stacey and Jonah raised $31,000 in the “One Pet, One Vet” campaign to help non-profit “Got Your Six” purchase service dogs for local veterans suffering from PTSD. The effort far exceeded the goal of raising $20,000. Cox Media Group’s CBS affiliate WJAX-TV Jacksonville, Fla., spent $12,000 to wipe out crushing medical debt for local military families. WJAX also started the #RIPVetDebt campaign, in partnership with the non-profit RIP Medical Debt, to continue addressing the issue. Viewers and local businesses joined the cause. Efforts by WJAX have paid off more than $3.3 million dollars in local medical debt for veterans. KDVR addressed the needs of Colorado’s nearly 500,000 veterans and active-duty service members in 2017 through the “FOX31 Problem Solvers: Serving Those Who Serve” initiative. The station produced five half-hour documentaries on Colorado veterans and launched the “Hero of the Month” program, which recognizes veterans, active-duty service members, military family members and volunteers. The station also formed the “Serving Those Who Serve” Advisory Board, which meets quarterly to bring local non-profit veterans organizations together to share ideas and resources and to advise the station on military issues that should be covered. WOWO’s annual “Penny Pitch” campaign has been providing grants to individuals and not-for-profit organizations serving Northeast Indiana since 1948. The initiative aims to help those who are either disadvantaged or physically handicapped by supporting charities that have a similar mission. In 2017, the campaign raised more than $200,000 for The Shepherd’s House, which provides temporary housing for homeless military veterans living with addictions. The Shepherd’s House recently had its federal funding denied but the station generated enough money to keep the facility open for nearly six more months. Scripps’ WTMJ-AM Milwaukee raised $54,000 on February 27 for Honor Flights, allowing 150 Vietnam veterans to visit Washington, D.C., to see the Vietnam War memorial. Afternoon host John Mercure led a three-week on-air campaign to raise funds, that culminated in three-hour radiothon and a pre-game fundraising party with the Milwaukee Bucks where guests met Vietnam veterans. “The WTMJ Cares campaign led by John Mercure is another example of how live, local radio impacts people and a community,” said Vice President and General Manager Tom Langmyer. Fox-owned WJZY-TV Charlotte shared the story of a Vietnam War Marine veteran with a Purple Heart who nearly froze to death in his house when the temperatures dipped into the teens. After the story aired, a viewer paid the oil company enough to keep his heat on throughout the winter and a local grocery store donated a refrigerator full of food and supplies because his was empty. WJZY focuses on “getting results” and has dedicated a webpage to stories like this. Impact Radio Group’s KQBL-FM Boise recently helped a veteran in need through their work with local veteran services organization The Tillery Fund. KQBL-FM invites listeners to nominate military families and veterans in need through the “Adopt-A-BULL Family for Christmas” program. This year, they found a medically retired veteran in his early 30s, who is married with three young children and faces a six-month backlog while waiting for disability paychecks. The family relies solely on a wood-burning stove for heat, but they were out of wood. Immediately after KQBL-FM personalities Kevin and Brenda shared his story, they heard that a nearby vacant property had five trees that had already been cut down. The property owner happily agreed to donate the wood. Two days later, 50 volunteers spent four hours to cut and deliver 15 cords of wood, which can keep the family warm for more than two years. Watch the video here. Entercom’s WRKO-AM Boston raised $90,000 on Veterans Day, November 11, for the Disabled American Veterans (DAV). On-air personalities shared inspirational stories from veterans of all ages. The funds support DAV’s transportation program that helps veterans keep their medical appointments. Lenawee Broadcasting’s WLEN-FM Adrian, MI., hosted their 12th annual “Thank a Vet” day on November 10 to raise funds and awareness for veterans in need in Lenawee County. In just 12 hours, WLEN-FM raised over $32,000 for the “Veterans Dire Needs Fund.” The funds are distributed throughout the year to local veterans for assistance with rent, mortgage payments to avoid foreclosure, utility bills, rental facilities to store possessions when they are displaced, transportation stipends and for items like clothes needed for employment. Beasley Media Group’s WCSX-FM Detroit is assisting veterans find jobs through its “Employment After Deployment” initiative. Members of the military who have returned from a recent deployment and are looking for a job are encouraged to go to www.WCSX.com or and share their job experience, skill set and type of position they’re looking for. Also, the station’s morning show “Big Jim’s House” is featuring a select veteran on the program each week. Salem Media Group’s KRLA-AM Los Angeles partnered with Rose Bowl Legacy on the first “Military Spouse Day of Pampering” on July 4. Twenty women were selected from community nominations and from various local military support groups to attend the day of pampering in the Rose Bowl suites. The ladies received gift bags with lotions, free passes to any show at the Alex Theater, passes to tour the Battleship Iowa, hair products and a yoga mat. CBS Radio recently launched connectingvets.com, with content produced by vets who understand the complexity of transitioning from the military back into civilian life. Content falls into five categories: News, Transition, Wellness, Get Help and Lifestyle. Specific topics include health and fitness, employment and entrepreneurialism, education, finance, veterans’ families and issues impacting female veterans. Programming will be available onair on WJFK-AM Washington, D.C., and on demand online. “We have created a streamlined, solutions-based product that will provide our vets with immediate and easy access to all of their available resources, and to their fellow veterans,” said Market Manager Steve Swenson. Beasley’s WMGK-FM Philadelphia raised $154,000 for local veterans during the live broadcast of the “John DeBella Veterans Radiothon,” held June 16. This year, WMGK also conducted a series of online auctions that included front row tickets to a Jimmy Buffett concert, autographed items and experiences with national recording artists such as Roger Waters, The Who, Joe Walsh, Peter Frampton and Joan Jett. 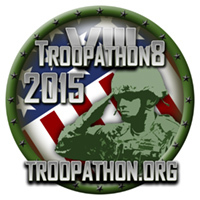 All funds benefit the Veterans Multi-Service Center (VMC) in Philadelphia. In 10 years, WMGK-FM has raised over $1 million through the radiothon. CBS Radio’s WIP-FM, KYW-AM, WPHT-AM, WXTU-FM, WTDY-FM and WOGL-FM partnered with the Travis Manion Foundation (TMF) for “Hero’s Home,” a home renovation initiative benefitting veterans. The new home for U.S. Army veteran Jack MacIntosh, who was injured in the line of duty during the Gulf War, was officially unveiled on April 25. Each April and November, the Travis Manion Foundation organizes “Operation Legacy,” which unites communities for a common cause through volunteer-led service opportunities. Under this umbrella, CBS Radio and TMF joined forces to unite home improvement partners to donate their services in renovating the MacIntosh home. Forum Communication’s WDAY-AM Fargo, N.D. launched a new show, “Heroes of the Heartland.” Host Master Sgt. Eric Marts discusses issues related to veterans, the military and their families. It also builds awareness of the non-profit “Homes for our Troops,” which builds and provides homes for veterans mortgage-free. Marts started the show five years ago, following his discharge from the U.S. Army after he an IED in Iraq caused brain injury, blindness, and damage to his arms, neck and back. TEGNA’s NBC affiliate KUSA-TV Denver raised more than $187,000 a 14-hour telethon for the Rocky Mountain Honor Flight on 75th anniversary of the attack on Pearl Harbor. Rocky Mountain Honor Flight takes veterans, their guardians and medical personnel to the U.S. Capitol to see memorials dedicated to their service. Each three-day trip costs $60,000. Honor Flight accepts applications from service veterans of all American wars, but gives preference to World War II veterans and veterans with terminal illnesses. TEGNA’s NBC affiliate WCSH Portland, ME, raised $96,000 in its first-ever telethon to help local veterans go to Washington, D.C. to see the war memorials through the Honor Flight program. The money will provide at least 138 veterans with an all-expenses paid trip to visit the memorials created in their honor. Priority is given to seniors, World War ll veterans and those who may be terminally ill. “I always felt like a nobody, but after the trip in June 2016, I felt like a very special somebody” said WWII veteran Theodore Perry. 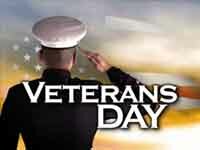 Hearst Television’s WMUR-TV Manchester, NH aired “Home Base Veteran’s Day Special” on November 11 from 7:00 – 9:00 p.m. The broadcast aimed to educate the local community about the invisible wounds of war in an effort to reduce stigma. The broadcast included personal testimony from veterans. Media General’s ABC affiliate WTNH-TV New Haven, Conn. partnered with Til Duty is Done and the Mohegan Sun on the second annual “Vets Rock” expo and concert held Veterans Day. Over 3,000 veterans and their family members attended the free expo, which included an employment fair, professional attire fitting and 50 veteran service organizations. This number of attendees is nearly triple the 2015 debut. The event included a concert featuring Godsmack, the Dropkick Murphys, Tony Orlando and Madison Rising and raised $20,000 for local veteran’s organization Til Duty is Done. 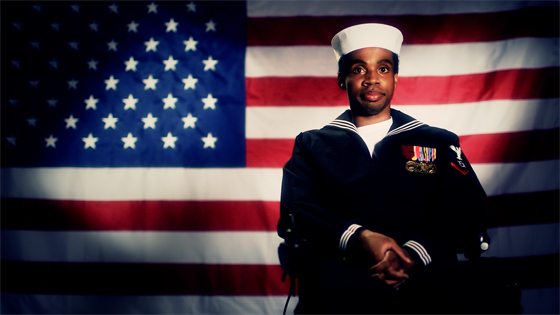 Throughout October, WTNH celebrated local veterans, sharing stories of sacrifice and achievement. Entercom’s WRKO-FM Boston raised $71,000 for the Disabled American Veterans (DAV) during a nine-hour marathon broadcast held November 11. The money raised supports DAV’s efforts to provide disabled veterans resources, including assistance with benefits, medical attention and employment opportunities. iHeartMedia’s WEBG-FM Chicago BIG 95.5 hosted a free concert featuring Chris Janson on September 11. The event commemorated the 15th anniversary of the attacks in 2001. TEGNA’s NBC affiliate KARE-TV Minneapolis aired “KARE 11 Investigates: MN hospitals turn away veterans because VA fails to pay bills.” KARE found evidence that hospitals in Minnesota and across the nation are refusing to participate in the existing $10 billion VA “Choice” program because the VA does not paying its bills. An independent commission has since called for “urgent reforms” in medical care for veterans, including more options for private health care outside traditional VA hospitals. Cox Media’s Fox affiliate WFXT-TV Boston aired "Veterans’ Records, Medicine, Mishandled" on June 6. Veterans’ protected health information, lab results, doctors’ notes and medicine were mishandled 37 times by the VA Boston Healthcare System in the last three years. In one case, a disabled veteran requested three years of medical records, but was sent someone else’s files. Massachusetts lawmakers are now calling for federal reform. TEGNA’s NBC affiliate KARE-TV Minneapolis aired a report that led Congressman Tim Walz to call for a nationwide investigation into improper brain injury exams done by Veterans Affairs. Unqualified doctors diagnosed more than 300 veterans in Minneapolis, causing many to be denied benefits. Only one of 21 medical professionals conducting initial exams between 2010 and 2014 at the Minneapolis VA Medical Center was qualified according to the VA’s own policy. American General Media’s KKDG-FM Durango, Colo. raised over $29,000 in less than 24 hours for the family of U.S. Navy Blue Angel pilot, Captain Jeff Kuss, who was killed on June 2. KKDG-FM shared information onair, online and on social media, directing listeners to the Go Fund Me page set up to support Kuss’ wife and two small children. Capitol Broadcasting’s NBC affiliate WRAL-TV Raleigh aired an investigation on May 25 into a program designed to cut health care wait times for veterans by allowing them to utilize doctors outside the Veterans Affairs system. Reporter Cullen Browder interviewed local veterans who are still dealing with the same delays the program was supposed to fix. 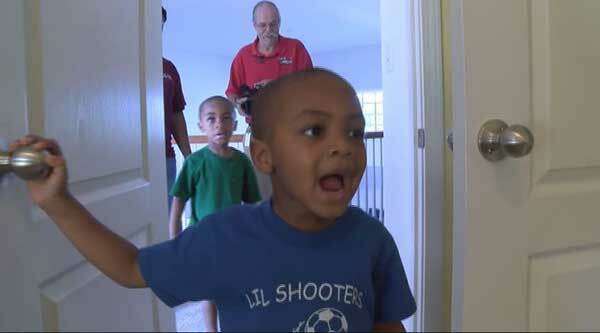 WRAL’s special also explores the causes of the program’s pitfalls. 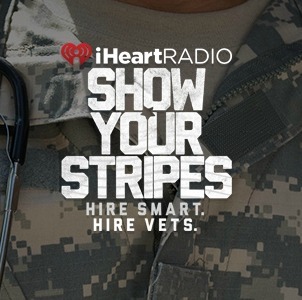 iHeartMedia’s WGIR-AM/FM Manchester, N.H. raised $156,000 for Veterans Count, an organization that provides financial assistance, services and resources to New Hampshire veterans, service members and their families. On-air personality Jack Heath hosted the 12-hour radiothon, which featured interviews with service members, ranging from World War II veterans to those who currently serve. Media General’s ABC affiliate WTNH-TV New Haven, Conn. sponsored an expo, career fair and concert for veterans on Veterans Day, Nov. 11. The workshop gave advice on resumes, interviews and professional attire to prepare veterans for the career fair. The expo included art, massage and music therapy, yoga and a veteran art auction. WTNH also helped distribute 5,000 smoke detectors and 1,000 carbon monoxide detectors to 83 Connecticut fire departments in September through “Operation Save-A-Life.” (Watch video). •	iHeartRadio provides regular access to on-air talent, live interviews and event promotion. •E.W. Scripps’ WTMJ-AM Milwaukee. Wis. Emmy-winning reporter John Mercure embedded with Buttery’s unit during an Iraq deployment and has supported Fisher House. •	Tribune Broadcasting’s Fox affiliate WITI-TV Milwaukee Morning News anchor and Wisconsin National Guard member Chip Brewster has covered his story. E.W. Scripps’ WTMJ-AM Milwaukee raised funds to send Korean War veterans from Milwaukee to Washington, D.C. to visit their memorial. Many of the local veterans have never visited the Korean War memorial. Host John Mercure aimed to raise $100,000 to pay for two flights. Listen to this audio clip. 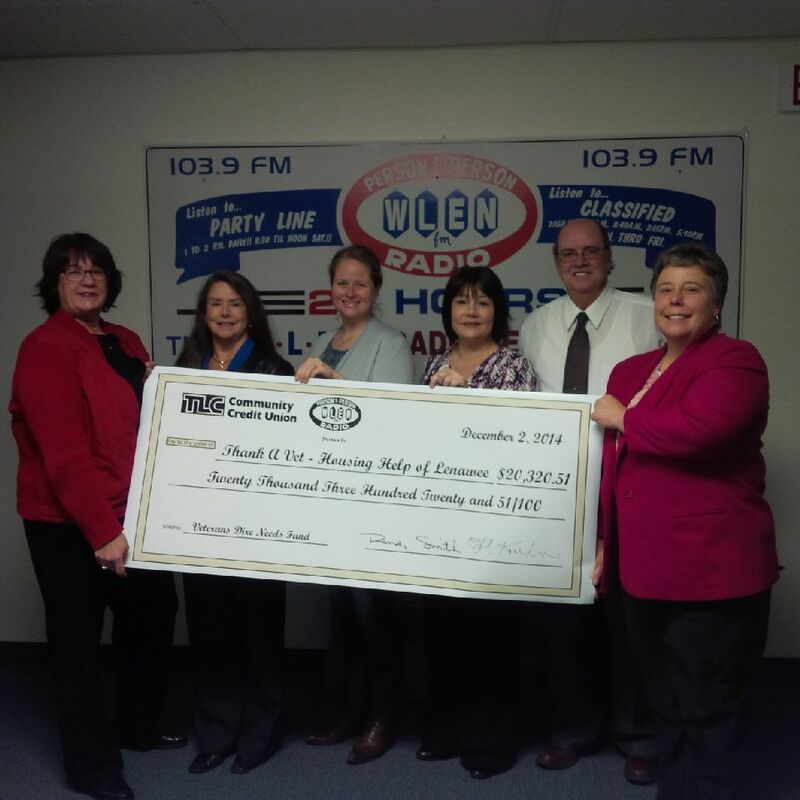 Lenawee Broadcasting’s WLEN-FM Adrian, Mich. raised $22,000 in the 10th annual "Thank a Vet" day, November 11. The funds support the Housing Help of Lenawee’s Veterans Dire Needs Fund, which assists local veterans with rent, mortgage payments to avoid foreclosure, utility bills, storage rental facilities when they are displaced, transportation stipends and simple items such as boots. To date, the event has raised more than $100,000. E.W. Scripps’ ABC affiliate KNXV-TV Phoenix raised $1 million in its 14th annual "Operation Santa," November 19-December 22. The funds benefit the Military Assistance Mission, Ronald McDonald House of Phoenix, St. Mary’s Food Bank Alliance and the Southwest Autism Research and Resource Center. Raycom Media’s NBC affiliate KPLC-TV Lake Charles, La., hosted a "Blue Friday" campaign on August 28. The initiative raised $51,000 to support the family of fallen Louisiana State Senior Trooper Steven Vincent. KPLC also promoted other fundraisers, which brought in a total of $100,000 for his wife and son. KPLC aired this video in honor of Trooper Vincent. 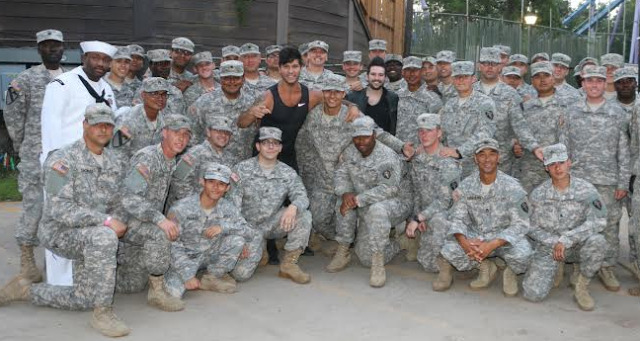 Cumulus Media’s NASH-FM Newark, NJ held its annual Salute the Troops event on August 26. The event, which thanks members of the military, opened with a performance of the national anthem by a member of the Navy with overand featured 30 active Army members on stage. NBC owned-and-operated KXAS-TV Ft. Worth and The Dallas Morning News won the 2015 Gannett Foundation Al Neuharth Award for Investigative Journalism, recognizing the creative use of digital tools. Their entry, “Injured Heroes, Broken Promises,” investigated the Army’s "Warrior Transition Units.” The units should help service members with physical and psychological wounds adjust to civilian life, but the journalists found allegations of harassment in documents obtained through the Freedom of Information Act. After seeing the reports, U.S. Senator John Cornyn wrote a letter to the Secretary of the Army, calling the issues raised by the series "highly disturbing." Within nine days, the Army ordered training to address the matter. iHeartMedia Albany has been a sponsor of the Leatherstocking Honor Flights Program for two years. This program was created to pay tribute to America’s World War II and Korean War Veterans for their sacrifices and achievements by flying them to Washington, DC to experience the Memorials in their honor at no cost to them. Leatherstocking Honor Flight began operations in 2008 and to date has taken over 1,000 WWII Veterans to Washington, DC, the oldest veteran on a flight was 100 years old. Leatherstocking Honor Flight covers New York State’s Capital District, all surrounding counties, as well as Vermont and Western Massachusetts. These one day trips are funded entirely from donations and fundraisers from community businesses, organizations, and individual contributions. To raise awareness and encourage donations, iHeartMedia runs promotional mentions on all seven stations: WGY, KISS, Fox Sports 980, PYX, and TRY to support this notable cause. iHeartMedia stations also secure local sponsors who run commercials to further support the Leatherstocking Honor Flights. Cumulus Media’s WABC-AM New York host Rita Cosby and Sonoma Media Group’s KSRO-AM Santa Rosa, Calif. host Melanie Morgan hosted Move America Forward’s 8th annual "Troopathon" on June 25, which raised $280,000 to send care packages to U.S. troops in Afghanistan. Guests included Geraldo Rivera, Joe Theismann, Rush Limbaugh, Sean Hannity, Mark Levin, Dennis Miller, Adam Corolla, Ted Nugent, Tony Orlando and Nancy Grace. Watch the broadcast here. 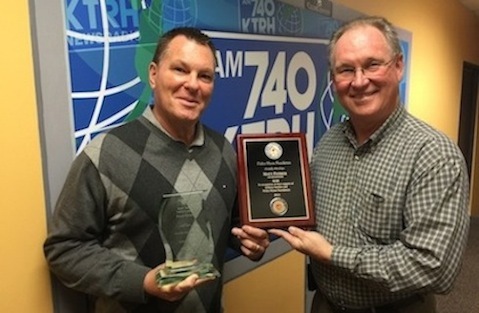 Cumulus Media’s KARN-AM Little Rock personality Doc Washburn hosted a three-hour special, A Hero’s Best Medicine, to raise awareness of the Fisher House Foundation. Radio stations that aired the program over Memorial Day weekend included WMAL-AM Washington, D.C.; CBS Radio’s WCCO-AM Minneapolis, Minn.; Cumulus Media’s WBAP-AM and KLIF-AM Dallas, iHeartMedia’s KHOW-AM Denver; WHAS-AM Louisville, Ky. and KSTE-AM Sacramento, Calif.; Cox Media Group’s WSB-AM Atlanta; Bonneville’s KTAR-AM Phoenix, Ariz.; Greater Media’s WBT-AM Charlotte; E.W. Scripps’ KQTH-AM Tucson, Ariz.; Midwest Communications WHBL-AM Sheboygan, Wis.; and Townsquare Media’s KPEL-AM Lafayette, La. Cumulus Media’s KSFO-AM San Francisco raised $136,000 over Memorial Day weekend for the Fisher House Foundation, which provides no-cost housing and support for families of wounded warriors while they receive treatment at military and VA hospitals. The KSFO Morning Show’s live broadcast from the Palo Alto Fisher House on May 22 featured interviews with soldiers and their families who have used Fisher House services. In the past five years, KSFO has raised more than $600,000 for Fisher House. CBS Radio’s WYCD-FM Detroit helped Army Reservist John Deline III surprise his wife on Feb. 23. After Deline returned early from an overseas deployment to Afghanistan and Kuwait, he reached out to the station to inquire about surprising his wife, Kathy, with tickets to a Garth Brooks concert. An on-air personality from WYCD-FM went to Kathy’s workplace with a bouquet of flowers, the concert tickets - and her husband. Click here to watch video from the surprise. iHeartMedia owned KTRH-AM and NBC Affiliate KPRC-TV Houston, Tex. host Matt Patrick was recognized for his efforts in his annual Radiothon for Fisher House. Fisher House Manager Frank Kelley presented the awards for his service to Patrick. 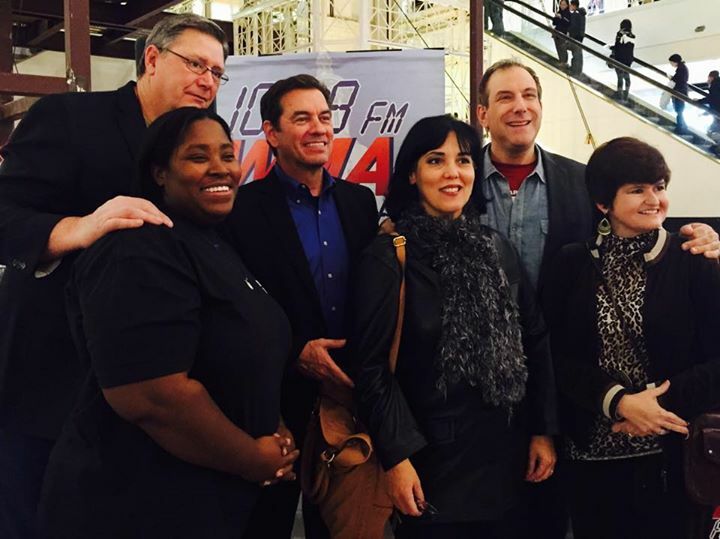 The talk show host’s Radiothon held on Veteran’s Day weekend raised $40,000. CBS Radio’s WIAD-FM Washington, D.C. partnered with Wreaths Across America to cover “Section 60” and other portions of the Arlington National Cemetery with a holiday wreath for each grave. “Section 60” is the final resting place for many Iraq and Afghanistan service members. When WIAD-FM announced that Wreaths Across America was more than 35,000 wreaths short of their goal, hundreds of citizens of D.C. helped fill the gap within three days. The wreaths are all handmade locally through the help of many volunteers. Lincoln Financial Media’s KSON-FM San Diego, Calif. Annual Cards for Troops set a goal of collecting 10,000 holiday cards for military members stationed abroad. The far surpassed that goal and collected a total of 30,000 cards. The United States Organization, Inc., (USO) a nonprofit that works to benefit troops and their families, distributed the cards. Watch the video here. 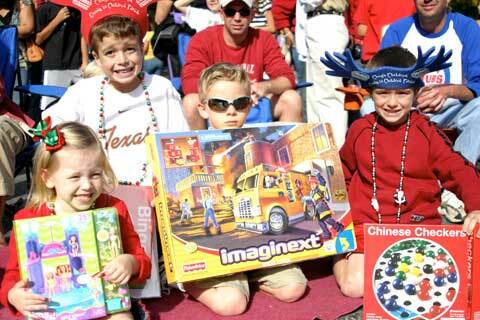 Emmis Communications’ Austin, Texas stations KLBJ-AM/FM, KBPA-FM, KLZT-FM and KGSR-FM participated in Chuy’s Parade, which collected thousands of toys. KLBJ-AM’s "Operation Thank You" raised $19,000 for the Texas National Guard Family Support Foundation, which assists families with a household member deployed during the holidays. KLZT-FM raised $146,000 for Dell Children’s Medical Center during and also helped distribute more than 1,000 Thanksgiving meals through El Buen Samaritano’s "Hands for Hope" mission. Lenawee Broadcasting Company’s WLEN-FM Adrian, Mich. raised $20,000 for the "Veterans Dire Needs Fund" at the Housing Help of Lenawee during its annual Thank a Vet Day. The money will be distributed over the course of the year to assist veterans with rent, mortgage payments, utility bills, storage rentals, and transportation stipends. More than $80,000 has been raised in the event’s history to support Lenawee County veterans. iHeartMedia’s KLAC-AM Los Angeles raised over $170,000 in under 10 hours during its 7th annual Paralyzed Veterans of America Radiothon. Since its inception, the event has raised close to $1 million. Journal Broadcast Group’s KQTH-FM Tucson, Ariz., raised over $121,000 on Oct. 29 to build a Fisher House at the Southern Arizona Veterans Administration Health Care Center. Fisher House provides locations for military and veterans’ families to stay at no cost while a loved one receives medical treatment. 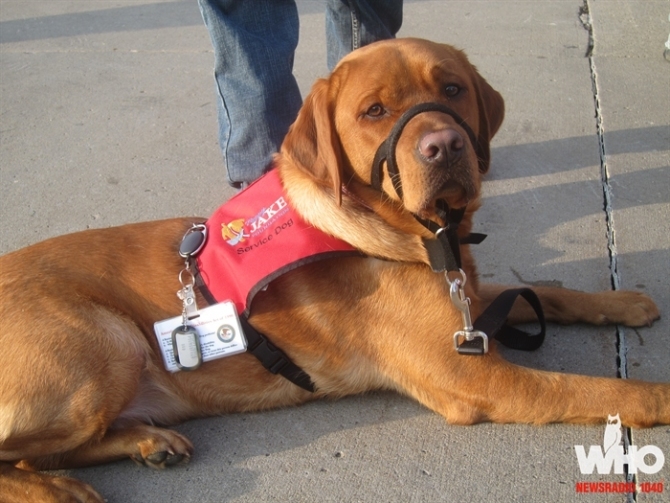 WHO-AM Des Moines, Iowa, host Simon Conway held a drive-thru BBQ for the Puppy Jake Foundation, which acquires, raises and trains service dogs for wounded military veterans. In two hours, WHO-AM served 800 sandwiches and raised more than $4,000. "Also on hand were dogs - lots of them - including the first dog to have been given to a veteran, Puppy Jake himself ..." Conway said. Raycom Media’s NBC Affiliate WAVE-TV Louisville, Ky. surprised a local family with two military parents with a bedroom makeover. The station surprised the Roberts family with a new playground, a complete bedroom makeover - filled with new toys and furniture – and a new dishwasher. Both parents have served in the National Guard for over ten years. Entercom’s KAMX-AM Austin afternoon host Jay Styles recently completed the "Mix 94.7 and Jay Styles Courage Walk" to raise money for Wounded Warrior Project and veterans who are battling post-traumatic stress disorder (PTSD). Jay walked 20 miles per day for five days straight to raise money for the effort and encourage listeners to support his mission. In total, Jay walked 100 miles and collected more than $20,000 for veterans. Greater Media’s WMGK-FM Bala Cynwyd, Penn., hosted the eighth annual John DeBella Veterans Radiothon to benefit local veterans through the Veterans Multi-Service Center (VMC). The day-long event featured a series of auctions and appearances from athletes, celebrities and musicians. In total, the benefit raised more than $144,000. Over the past eight years, the radiothon has raised more than $644,000 for the VMC. The Wisconsin Broadcasters Association (WBA) hosted a special event in the Wisconsin State Capitol rotunda on June 6 to commemorate the 70th anniversary of the D-Day landings at Normandy and to recognize the sacrifices of Wisconsin’s veterans from that day and others. WBA partnered with the six Wisconsin Honor Flight Hubs and the Wisconsin Department of Veterans Affairs to mark the important day. The event featured presentations on behalf of the state to World War II veterans, including those who fought on D-Day. Honorees shared their personal accounts from World War II. WAB produced an hour-long program with all the event highlights, as well as an hour-long documentary, "They Fought for Freedom," which highlighted all six Wisconsin Honor Flight Hubs and Wisconsin’s World War II veterans. Greater Media’s WRIF-FM Detroit partnered with ABC Harley Davidson and Made in Detroit to host the first annual Biker Bash. 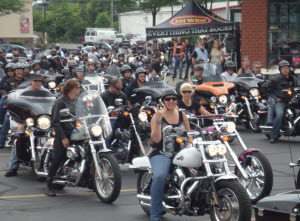 The event kicked off with a Charity Ride to Biker Bash beginning in Waterford, Mich. The proceeds benefitted Ted Nugent’s Kamp for Kids and Freedom’s Angels, which recognizes the incredible sacrifice military members and their families make for America. There were around 300 bikes that participated in the Charity Ride. The Biker Bash was followed by a live performance by Ted Nugent later that evening. Cumulus Media’s KSFO-AM San Francisco’s morning show with Brian Sussman and Katie Green and weekend talent, Spencer Hughes and Ethan Bearman, held a live broadcast from the Fisher House in Palo Alto during Memorial Day weekend. The three-day fundraiser featured interviews with U.S. military personnel and their families who benefit from the Fisher House Foundation’s services. Throughout the weekend, KSFO-AM raised $111,000 for the organization which supports American veterans, active military and their families. Clear Channel’s WACO-FM Waco, Texas, morning program, The Zack and Jim Morning Show, broadcast live from Afghanistan for a week in February to show support for members of the military who are stationed overseas. The show featured exclusive interviews with servicemen and women and listeners’ shout-outs of appreciation. This trip marked the fourth time WACO-FM’s hosts have traveled to a war zone to show appreciation for American men and women in uniform. London Broadcasting’s KIII-TV Corpus Christi partnered with the USO and the Black Chamber of Commerce to host the third annual Diaper Drive to support military families with small children. Hundreds of items including diapers, wipes and other infant hygiene products were collected during the 13-hour drive. Video from the event is available here. Clear Channel’s KFYI-AM Phoenix hosts an ongoing campaign, “My Military Hero,” to salute a local member of the military or their family and thank them personally for their service. Each month, KFYI’s afternoon host Mike Broomhead recognizes someone on air, features them on a digital billboard in the Phoenix metro area and gives them a $500 Visa gift card. One of KFYI-AM’s heroes, Sgt. First Class Cory Remsburg, recently joined the First Lady at the State of the Union address. Greater Media’s WMGK-FM Philadelphia partnered with a local tree farm and a furniture store to make the holidays a little brighter for active duty families in the Philadelphia area, by providing them with a free Christmas tree. Families were able to request a tree on the WMGK-FM website. On December 14, local military families were invited to pick up their trees and enjoy a holiday hayride, light display, a visit with live reindeer and have their photo taken with Santa Claus. Gannett’s CBS affiliate WUSA-TV Washington teamed up with the USO of Metropolitan Washington to host the fourth annual Turkey for Troops campaign to raise money to thank military families during the holiday season. WUSA-TV held a phone bank during the 5 p.m., 6 p.m. and 7 p.m. newscasts on Veterans Day. Viewers were invited to call in with donations. In total, more than $100,000 was raised, enough money to buy 2,000 dinners for families of six. 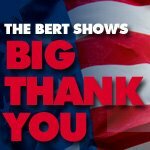 Syndicated radio program "The Bert Show" held the Big Thank You campaign to collect cards for military men and women serving in the armed forces, to ensure they received a thank you note from an American this Thanksgiving. This year the initiative collected 250,000 letters. Over the past four years, the syndicated radio show has collected and distributed more than 1.1 million letters. On November 8, WLEN-FM Adrian, Mich., hosted the 8th annual "Thank a Vet" day to assist local veterans with their rent, mortgage payments to avoid foreclosure, utility bills, rental facilities and transportation stipends. The 12-hour radiothon raised more than $18,500, and all the proceeds were giving to the Housing Help of Lenawee County, to be distributed to local veterans. To date, the event has raised more than $60,000 for veterans in Lenawee County. Emmis Communication-owned KFTK-FM St. Louis’s "Dave Glover Show," along with the Marc Bulger Foundation, raised $15,000 to purchase an all-terrain wheelchair for triple amputee Marine Cpl. Justin McLoud during an annual D-Day Event. Marine Cpl. Justin McLoud was left injured after an IED blast in Afghanistan during his third deployment in December 2010. An avid outdoorsman, Justin desired an all-terrain wheelchair to participate in hunting, fishing and other outdoor activities that he enjoyed prior to his injury. On-air personality Dave Glover and the Marc Bulger Foundation have partnered to raise more than $1 million to help wounded veterans and other military organizations. Townsquare Media’s WGRD-FM Grand Rapids, Mich., staged a mission dubbed Producer Joe’s Hobo Truth Brigade. Producer Joe got Rudy, who sat at a busy corner with a cardboard sign that read "Homeless Vet," to admit he never served in the military. Producer Joe then held a cardboard sign that said "LIAR" with an arrow pointing at Rudy. Joe returned the next day to panhandle as a fundraiser for the Grand Rapids Home for Veterans. He collected $1,085, which the station matched to produce a total of $2,170. Alpha Broadcasting’s WUBB-FM Hilton Head Island, S.C.’s morning show "Tim Leary & The Morning Showgram" hosted a benefit concert to support Wounded Warriors and Sua Sponte, an organization that helps wounded Army Rangers returning from deployment. The event raised $6,500. "It was humbling not only to see the crowd coming out to support this event in the rain, but to actually talk to the soldiers, some of whom have just returned from overseas," said WUBB-FM’s host Tim Leary. Premiere Networks-syndicated Hollywood Hamilton and his wife Marina raised $10,000 for the Wounded Warrior project by biking 350 miles from D.C. to Pittsburgh. "Some of you who personally know us might think, ’There is no way he could possibly go six days without an Xbox’ or ’His wife Marina could never live without a hair dryer,’" Hamilton said. "For those reasons, along with both of us being stubborn and the possibility that we may break up somewhere along the way, we will only be collecting these thoughtful donations based on the miles we cover." Greater Media’s WMGK-FM Bala Cynwyd, Penn., hosted the 7th annual John DeBella Veterans Radiothon benefiting local veterans through the Philadelphia Veterans Multi-Service & Education Centers. WMGK-FM’s host John DeBella broadcast live for 12 hours and raised more than $92,000. Listeners made online and call-in donations. Many of the listeners that called attributed their donation to a former or current member of the military in their life. 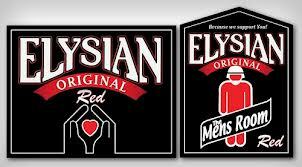 Entercom’s KISW-FM Seattle’s afternoon show, "The Men’s Room," partnered with Elysian Brewing to create a beer called Mens Room Original Red in 2009. Based on the beer’s success, KISW-FM and Elysian Brewing have donated $300,000 to Puget Sound Fisher House and Joint Base Lewis-McChord (JBLM) Fisher Houses. 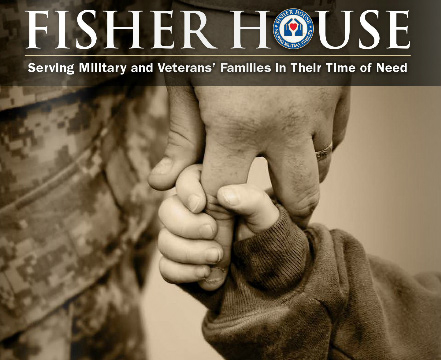 Fisher House programs honor and assist veterans and active military personnel. For the second year in a row, Beasley Broadcast Group’s WKXC-FM Augusta, Ga., partnered with several local businesses for Operation Hand Warmer, a drive to collect hand warmers and other items for troops serving overseas in Afghanistan. Listeners dropped off donations at the local businesses, and after less than a week, over 20,000 hand warmers and other rations had been collected and packed for delivery. This year’s operation surpassed the previous by more than 5,000 items. Greater Media’s WMGK-FM Philadelphia held its first Combat Comedy event to benefit Philadelphia area veterans on March 1, featuring comedian Jim Breuer. The comedy show raised $10,000, and all the proceeds went to the Philadelphia Veterans Multi-Service Education Center, which provides services to military veterans by eliminating barriers for successful transition and addressing needs for independent reintegration into their community. Dispatch Broadcasting Group’s WBNS-FM Columbus Promotions Director Todd Reigle will take part in a five day bike ride for Honor Ride Ohio. The program begins June 30 in Sylvania, Ohio and concludes in Cincinnati on July 4. He hopes to raise $100,000 for six veterans’ organizations: Honor Flight Columbus, Hidden Scars Foundation, the Wounded Warriors Project, Ohio Fallen Heroes Scholarship Fund, Ohio Combat Veterans and the Ohio Fallen Heroes Memorial. Retired military personnel will join him on the 400 mile ride. The riders will stop in Lima, Kenton, Sunbury, Columbus, London, Dayton and Cincinnati to lay wreaths at veterans’ memorials. "This is the least I could do to show my support for the veterans and help raise money for trips to D.C. for the WWII veterans, remember those who have died in the war on terror, support those who are battling PTSD and assure the children of our soldiers who laid down their lives, that college is part of their future," Reigle said. Cape Cod Broadcasting’s WKPE-FM Cape Country 103.9in South Yarmouth, Mass. 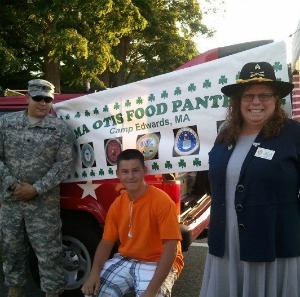 partnered with the Cape Cod Melody Tent to organize a military food drive for the Ma Otis Food Pantry. Cape Cod Broadcasting ran a two week on-air campaign before collecting non-perishable food items at a Trace Adkins Concert. Ma Otis, an emergency food pantry located on Cape Cod, Mass., is run by military spouses and active duty members that want to help fellow military and their families. "We were thrilled with the response of our listeners and of the concert-goers that brought items the night of the concert," said promotions director Kim Lucas. "The highlight of the night for all of us was seeing some of the active military that were at the event to help with the food drive get to meet and pose for photos with Trace Adkins. A great event with an overwhelming community response, we were thrilled to make a significant contribution and bring much needed exposure to this deserving organization serving our communities military and families." Sean Hannity’s Holiday Concert Salute to the Troops, produced by Townsquare Media, will hit four cities in November and December; New York, Pittsburgh, Atlanta and Washington, D.C. 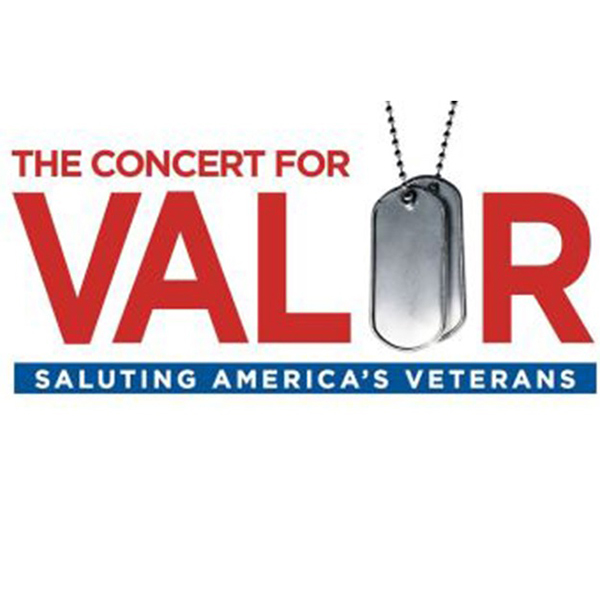 The concerts will benefit the Freedom Alliance Scholarship Fund, designated for children of U.S. service members who have been killed or permanently disabled in an operational mission or training accident. 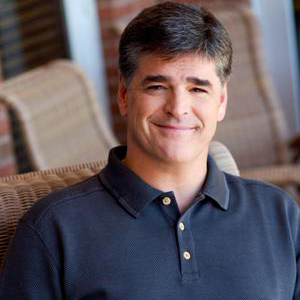 Hannity has raised over $8 million for the Freedom Alliance Scholarship Fund in the last eight years. Hannity’s Holiday Concert Salute to the Troops will feature three-time GRAMMY® winner Michael W. Smith, combat-decorated Marine/best-selling author Oliver North and platinum selling recording artist John Ondrasik of Five for Fighting. NCAB Hosts Celebration for Vietnam Vets In a partnership with the USO North Carolina, the North Carolina Association of Broadcasters hosted the Welcome Home Vietnam Veterans Celebration at the Charlotte Motor Speedway. Nearly 70,000 people attended the day-long event. Veterans, their families and community members were invited to enjoy a day of entertainment, including The Charlie Daniels Band, George Clinton and the 82nd Airborne Division "All-American" Chorus. The Department of Veterans Affairs also provided health assessments for veterans. The event was covered live by radio and TV stations across North Carolina. 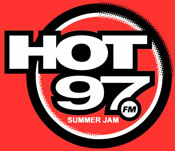 Emmis Communications Corporation’s WQHT-FM New York and the VetransAid Foundation provided over 150 free tickets for veterans to attend the station’s Summer Jam 2012. The VetransAid Foundation raises funds and awareness for veterans’ causes. WQHT-FM donated a portion of the Summer Jam 2012 proceeds to the Hip Hop Has a Heart Foundation. "Every war has a soundtrack and for so many soldiers, the sounds of the hip hop community lifted our spirits and gave us a much needed distraction we could bond around," said Iraq war veteran and VetransAid Foundation Advisor Mikey Piro. Greater Media’s WTKK-FM Boston raised over $100,000 in its 5th Annual Fisher House Radiothon. The proceeds help to build Fisher Houses across the country, allowing families of wounded and ill veterans can be close to their loved ones during their hospitalization in a comfortable, home-like environment. "From Afghanistan to Yemen, we send our troops into harm’s way every day. When harm does come, the Fisher House lets us take care of them," said Michael Graham. On air guests included Fisher House families, Senator Scott Brown, several actors, comedians and athletes. Journal Broadcasting Group’s KFDI-FM Wichita’s "Christmas in a Box" holiday campaign delivered approximately 500 packages to American troops from Kansas serving in Afghanistan, Korea and Africa. The packages were filled with snacks, toiletries, entertainment items, holiday decorations and letters of support from home. Listeners submitted names of loved ones who are deployed. The station also hosted a benefit concert to cover shipping costs. Lenawee Broadcasting’s WLEN-FM’s 7th Annual Thank a Vet Day raised over $10,000 for homeless veterans in Lenawee County, Mich., to be distributed through the Lenawee Emergency and Affordable Housing Corporation. WLEN-FM staff, local veterans’ organizations and area business people stood outside to collect money and gift cards. WLEN-FM also worked with the National Guard to hand out boxes to be filled and mailed to currently deployed service people. To date, the event has raised over $50,000. 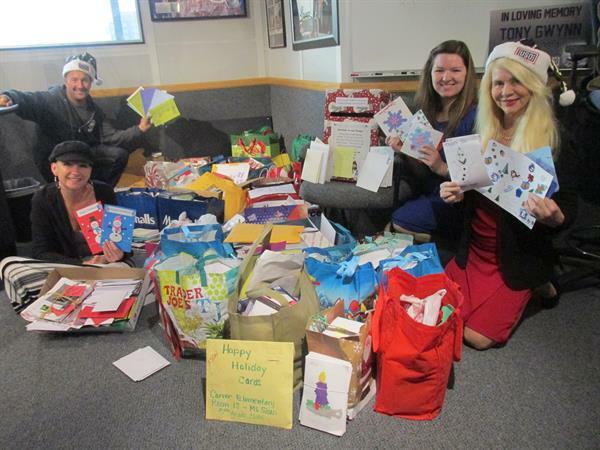 A major supporter of our troops, KSJQ-FM in Savannah, Mo., implemented a "Letters From Home" campaign, encouraging listeners to send Christmas cards with calling cards inside to Missouri troops who could not be home for the holidays. KSJQ aired 259 promotional announcements, inspiring participation from several schools and children. As a result, nearly 2,000 cards made their way to those from the area stationed overseas. The station organized another campaign, "Operation Build a Nation," in response to reports from members of a field artillery battery from St. Joseph, Mo., that a school in Afghanistan near where the soldiers lived and worked had 4,000 students but no school supplies. After nearly 500 promotional announcements and a nine-hour radiothon, KSJQ and its listeners filled a 5-ton Army truck with school supplies to benefit the children. 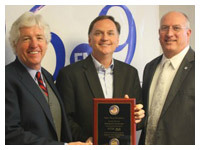 KSJQ was a National Association of Broadcasters Crystal Award Finalist in 2008. When a deployed master sergeant in the Air Force sent an email asking if KBBO-FM, KDBZ-FM, KFAT-FM and KXLW-FM in Anchorage, Alaska, had any extra CDs lying around that could be sent to him, the stations responded in a much bigger way. In the months following, a DVD and CD drive was organized to send a bit of entertainment to troops away from home. A mixture of recorded promotional announcements and live liners got listeners interested three weeks prior to the drive. On the day of the event, the stations paired off and broadcast live from two different video store locations for seven hours. More than 1,000 DVDs and 500 CDs were collected during the one-day drive. Listeners continued to drop off donations for weeks after the live broadcast. The stations worked with the Alaska Army National Guard to ship the CDs and DVDs to troops from Alaska who are serving overseas. Filling a 26-foot truck from front to back with items needed by deployed U.S. soldiers was the kick-off event for KFKA-AM in Greeley, Colo., to begin an AdoptaPlatoon effort in northern Colorado. AdoptaPlatoon is a nonprofit national organization to support our troops, which local groups can use as a foundation for similar activities. KFKA’s September 2007 "Stuff-A-Truck" multi day event involved organizing collection sites in businesses throughout the community with heavy foot traffic and planting a moving truck near a busy intersection, where the station broadcast live, asking listeners to make donations and interviewing military and AdoptaPlatoon organizers. In addition to the 15,264 pounds of material donations made as of December 2007, more than $11,000 has been raised for postage to send the supplies. KFKA is following "Stuff-A-Truck" with a "Stuff-A-Store" event, and offers continual support to AdoptaPlatoon through the station’s Web site, where information about needed items and collection centers is readily available. A recent letter from a company commander best summed up the impact of the effort: "My troopers’ deployment is finally drawing to a close and hopefully, they leave knowing two things: One, they have done an outstanding job here; and two, America loves and supports them. They should take the credit for the first, and you for the second." Musicians, dignitaries, actors and citizens joined WMZQ-FM in Rockville, Md., for the American Freedom Festival. The fourth annual Veterans Day celebration honored our military while raising both awareness and funds for veterans’ organizations. The event, which was hosted by WMZQ Morning Show team Brian and Jenni, attracted 3,400 people. Proceeds went to the American Freedom Foundation, which has a goal of giving $1 million in support to veterans each year. The day of patriotic fun included concerts by country singers Martina McBride and Darryl Worley. The station jumpstarted enthusiasm before the festival with 200 minutes of promotional announcements and seven emails blasts to its database of 45,000 listeners. On-air interviews with McBride and retired Army Sgt. Maj. Jack Tilley, co-chair of the American Freedom Foundation, also helped spotlight the all-American event. "WMZQ has just been tremendous," said Tilley. "They have helped us educate people about the needs of veterans not only in the D.C. area but nationally. They are real patriots." With the station’s help, the event is expected to draw even larger crowds next year. WJBC-AM Organizes "Operation Porchlight Welcome Home Parade"
When the Illinois Army National Guard HHD 33rd Military Battalion was deployed to Iraq, WJBC-AM in Bloomington, Ill., and Operation Porchlight cared for the soldiers’ families back home. Providing a proper send-off, WJBC covered the battalion’s deployment on the air, sending broadcast teams along on the highway to make sure the soldiers knew how much the community cared. During the battalion’s deployment, WBJC encouraged more than $10,000 worth of donations for the soldiers’ families by running stories and hosting a donation link from the station Web site. The station also worked with the military to coordinate interviews with the soldiers overseas, which provided listeners with a firsthand account of the emotional strain and sacrifice felt both by the soldiers and their loved ones. When the battalion returned home in the fall of 2007, WBJC helped organize a community-wide "Operation Porchlight Welcome Home Parade." After being escorted through two adjacent communities in convertibles, the soldiers were greeted by their families and dignitaries at the Illinois National Guard Armory. WJBC set up 14 broadcasts on the parade route and provided four hours of continuous coverage. The station also printed up and gave away "Welcome Home 33rd" buttons, conducted more than 30 on-air interviews with soldiers and military, and ran hundreds of promotions for the event. Seven thousand community members waving American flags and holding "Welcome Home" banners greeted the soldiers upon their return. WJBC is winner of the 2008 National Association of Broadcasters Crystal Award. With a mission to send a little sweetness to troops serving overseas from Fort Bragg and Pope Air Force Base, WKML-FM in Fayetteville, N.C., launched its annual "Operation Cookie Drop" campaign. The station worked with the directors of the Pines of the Carolinas Girl Scouts to make the effort part of the girls’ door-to-door and booth sales. The station supported "Operation Cookie Drop" with months of promotional announcements and several live remotes from locations where Girl Scout cookies were being sold. To encourage the community to get involved, the station built a special Web page and sent an email blast to its "Country Club" member listeners. More than 40,000 boxes of Girl Scout cookies were collected, equaling 2.5 tons. When the cookies were loaded for special delivery, the station broadcasts a final remote, bringing the live broadcast count to 10 hours. The station has been making special cookie deliveries to deployed soldiers from the area for 4 years. WLEN-FM in Adrian, Mich., took action when it learned that more than 100 homeless veterans were living in the woods of Lenawee County, a part of the state where the wind chill can dip far below zero. In response to the veterans’ immediate need for help, WLEN created "Thank A Vet" day, an 11-hour broadcast to bring awareness to the community of the issues local veterans face, including homelessness. The event collected cash for a special account set up through Lenawee Emergency and Affordable Housing Corp. called "Dire Needs of Lenawee County Veterans." The account provides immediate assistance for a warm place to stay the night, food, personal hygiene items, clothes, medical care and other urgent needs that can’t wait for the application process many veteran programs require. The small city of 23,000 showed its big heart donating almost $5,000 during the one-day drive. WLEN was a National Association of Broadcasters’ Crystal Award Finalist in 2008. After U.S. troops first entered conflict in Afghanistan and Iraq, morning show host RJ Harris from WHP-AM in Harrisburg, Pa., began the now annual WHP Troop Support Rally. Between performances of live patriotic music, military, families of military, political leaders, dignitaries and veterans take the microphone on the front steps of the Pennsylvania Capitol. The 2007 rally kicked off with a flyover by the local 193rd Pennsylvania Air National Guard, which routinely serves in Afghanistan and Iraq. Below, 3,500 people gathered in support of the troops. The rally was promoted with 300 public service announcements. One month before the event, WHP partnered with a local grocery store to sell patriotic magnets. The proceeds, which exceeded $150,000, went to the United Service Organizations (USO). WHP also supported a local Girl Scout cookie drive, which raised funds to send several hundred pounds of cookies to military stationed away from home. It was a Veterans Day to remember for 150 local World War II veterans who spent the day in Washington, D.C., because of the efforts of WPDE-TV in Myrtle Beach, S.C. For many of the men and women, it was their first and only chance to see the National World War II Memorial. To make the trip possible, the station held a day-long telethon, which raised $20,300 – enough to cover the entire cost of the trip. The station ran public service announcements, promotional mentions and news stories about the fundraiser, as well as interviews with veterans about what the anticipated trip meant to them. While in D.C., the WPDE news crew captured the emotion, awe and appreciation of the veterans at the memorial and shared it with viewers through live cut-ins every 30 minutes throughout the day. The station continued with the veterans’ stories through follow-up interviews once they returned to South Carolina. In an area with a high population of veterans, being able to contribute to the event was personal for many, including WPDE’s Billy Huggins who donated in honor and remembrance of his five uncles who served in WWII but did not live long enough to see the memorial finished. WSNA-FM in Germantown, Tenn., partnered with the Memphis RiverKings hockey team to collect donations for troops from the Mid-South currently serving overseas. The station’s "Military Salute" event was held at a RiverKings match, where listeners brought $1,000 worth of goods for "Project Package," an organization that sends troops comforts from home each month. The station got the word out about the drive with more than 125 live and recorded announcements, an email blast to its "Snap Pack" club and event information on the station Web site. WSNA was live at the event, broadcasting for two hours before the gates opened for the game and then appearing on the ice to pay tribute to local troops. WSNA was a National Association of Broadcasters Crystal Award Finalist in 2008. Part of a close-knit military town, WYCT-FM in Pensacola, Fla., adopted local Naval Reserve Battalion 11 before it shipped out to Kuwait. Days before the sailors’ departure, a crew from the station went out to the base and recorded live interviews with these brave men and women. On the day of their departure, the station gave the sailors a send off and provided box lunches. During Thanksgiving, WYCT’s morning show host Dana Cervantes went to visit the battalion overseas and hand-delivered 14,000 "Letters from Home." The station also linked up with WEAR-TV to air personal messages from the sailors via satellite for family members back in the United States. WYCT’s efforts will continue until the battalion arrives back home safely. The station has made a commitment to make sure these men and women know how much their community and country care. WYCT was a National Association of Broadcasters’ Crystal Award Finalist in 2008. The valued contributions of women veterans will not be forgotten thanks to the efforts of WSBE-TV in Providence, R.I."New England Portrait: Rhode Island Women of World War II: In Their Own Words" uses footage from interview sessions to chronicle the experiences of female World War II veterans from Rhode Island. The women profiled in the special speak candidly about their experiences and service some 60 years ago. Two panelists, the curator of the Naval Historical Collection and a local professor, author and historical consultant, round out the one-hour program by providing context and additional information about the roles of women during World War II. By working with high school students on the tribute, WSBE made the program a hands-on learning experience for aspiring historians and journalists. Furthering the opportunity for learning, WSBE hosted and facilitated meetings between high school students and female veterans. Three "Honor Flight" trips sponsored by WDAY-AM and WDAY-TV in Fargo, N.D., allowed 587 local World War II veterans to see the National WWII Memorial in Washington, D.C., more than 60 years after their service. The program began in 2007 as a community-wide effort to make sure World War II veterans from North Dakota, South Dakota and Minnesota had the opportunity to visit the memorial free of charge. The stations’ efforts included a radio day blitz at a local shopping mall, a telethon, a fundraiser featuring nationally known soap opera and television stars, and more than 1,300 public service announcements. All of the hard work resulted in donations of $475,000 over seven months, which allowed WDAY to become the first media organization to take its own Honor Flight and the first to charter 747s to take veterans to the memorial. Nearly 10,000 hours of staff time went into making the Honor Flights a reality. Gov. John Hoeven met the veterans and wished them well on board the plane at each flight. While in flight, the stations interviewed the veterans for later broadcasts, and at the memorial, the stations conducted a three-hour live broadcast. Just in case anyone missed a broadcast, WDAY linked to the Honor Day Flight Web site throughout the year. "I have to say that we are still in awe of everything we experienced," said Beth Bouley, who accompanied her father on one of the three Honor Flights. "My father was incredibly moved by the beauty of the memorial and the opportunity to finally see it. Thank you, WDAY." WDAY was a National Association of Broadcasters’ Crystal Award Finalist in 2008. Knowing that last December was the first Christmas away from home for more than 800 local soldiers, KLRC-FM in Siloam Springs, Ark., got involved with the inaugural "Stockings for Soldiers" holiday drive to make sure the 101st Airborne Division 3-187 Infantry Battalion received a bit of Christmas cheer. In addition to airing promotional spots, the morning show broadcast an interview with Elizabeth Dubbell-Beck from "Stockings for Soldiers," whose husband, Major Will Beck, is currently serving in Iraq. Instructions on how to participate were posted on the station Web site, and KLRC staff handed out stockings to get listeners involved during a two-hour live broadcast from a local bookstore. After weeks of promotion, the campaign goal of stuffing 800 stockings was more than doubled. Servicemen and women overseas received a total of 2,000 filled stockings. "People want to give, and KLRC gave them a positive outlet to do just that," said Dubbell-Beck. "Friends, families, companies, schools and civic groups all rallied together to make sure these troops had a blessed Christmas morning. Thank you, KLRC, for your positive difference and for supporting our troops." Upon the return of several injured soldiers from the Iraq war, KSAT-TV in San Antonio, Texas, held a day-long telethon for the Army Fisher House, a place where service men and women are taken care of until better healed to return to their lives before the war. 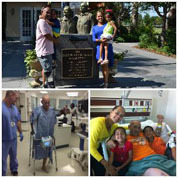 The Fisher House also supports the families of our soldiers, helping them learn how to endure the stresses associated with a loved one’s serious medical condition, such as blindness or amputation. The entire KSAT news team was behind the effort, broadcasting 20 live updates and asking for pledges. Viewers’ donations totaled more than $130,000, enough money to fund the Army Fisher House for a year. KSAT’s telethon was particularly noteworthy because the station approached the Fisher House to offer its services; the organization is restricted from asking for any donations or charity work directly. Funds generated by the telethon will be used to improve the facility, provide amenities and enhance the range of services provided. Given the need within the community and the success of the effort, KSAT vowed to hold similar events in the future for both community and military organizations. To provide troops stationed overseas with necessities and comforts from home, WKRQ-FM in Cincinnati, Ohio, sponsored a drive with the Yellow Ribbon Support Center. For six days over a two-week period, on-air personalities broadcast live from collection sites, where listeners donated toiletries, bug spray, suntan lotion, CDs, DVDs and pre-paid phone cards. The station got word to its listeners with 140 minutes of promotional time, which also played as a streaming broadcast. In addition, two email blasts went out to the station’s 15,000 member listeners. Nearly 200 staff hours went into organizing and conducting the drive, which resulted in several tons of items being sent overseas. The station concluded the event with a week of on-air thank yous to the community for helping our troops know they have support back home. WKRQ was a National Association of Broadcaster’s Crystal Award finalist in 2008. January marks "Remember a Soldier" month on Hubbard Television’s KSTP-TV St. Paul, Minn. This month, the station supported the Veterans of Foreign War, a program that provides calling cards to deployed soldiers and hospitalized troops. In recent years, the program has grown to include two monthly free call days in which deployed military service members can call the United States, Germany and Italy. More than 4 million phone calls have been placed since the start of the program. Greater Media-Owned WTKK-FM Boston’s radio personalities Michael Graham and Jay Severin held an eight hour radio-thon, raising nearly $70,000 in donations for Fisher House Boston, a home away from home for New England families of wounded and ill veterans. Fisher Houses and the Fisher House Foundation play a crucial role in helping veterans recover from serious wounds and enable family members to be close to their loved ones during their hospitalization. WTKK-FM’s live broadcast featured stories from troops and their families, along with guest appearances from Sens. John Kerry and Scott Brown, Captain Chelsey "Sully" Sullenberger, Gary Sinise, Rudy Guiliani and others. Allbritton-owned WSET-TV Lynchburg, Va., launched the "Heroes from the Heart of Virginia" campaign to recognize the dedication and sacrifices our men and women in the military – both past and present – make each day. The project encompassed every aspect of the station’s operations: on air in the form of special programming, news stories and public service announcements; on the Internet with a dedicated section of the station’s website and a Facebook page; and in the community with a campaign to raise funds and gather goods for veterans overseas. Additionally, WSET-TV partnered with The Exchange Club of Lynchburg to raise more than $3,000 to send a group of local veterans to Washington, D.C., in the spring of 2011 for a tour of the country’s war memorials. Thanks to the persistent efforts of WSYR-AM in Syracuse, N.Y., central New Yorkers enjoyed the return of the Veterans Day parade. More than 50 veterans’ groups participated, and thousands of people came out to pay tribute, wave American flags and watch the procession wrap around downtown. The station promoted the patriotic celebration, which began and ended at the Syracuse War Memorial, with more than 600 public service announcements during the six weeks prior to parade day. In addition to assisting with setting up and breaking down the parade, WSYR personalities rode on a station float. Organizing the parade involved more than three months of planning, and 500 hours of sweat and dedication by WSYR staff. WSYR was a National Association of Broadcasters’ Crystal Award Finalist in 2008. Capitol Broadcasting’s WRAL-TV Raleigh, N.C., has launched a community-wide project called the Triangle Flight of Honor. In partnership with the North Carolina Automobile Dealers’ Assocation (NCADA), WRAL-TV is diligently working to ensure World War II veterans in the Triangle region have the opportunity to take a free flight to Washington, D.C., to visit the memorials created in their honor. WRAL-TV’s support of the Triangle Flight of Honor includes extensive flight coverage and news stories about many of these unsung heroes, a comprehensive Web page and on-air fundraisers. Last month, the station held a telethon to support two April flights. The two-hour phone bank received nearly 700 phone calls and raised $56,000 in both on-air and online donations. To date, WRAL-TV’s total on-air and online fundraising efforts have exceeded $100,000. Additionally, WRAL-TV sent staffers on the most recent April 6 flight to document the trip to Washington and share veterans’ poignant personal stories in remembrance of the sacrifices they made. WRAL-TV also recognized the WWII veterans with a documentary called "Stories of Honor." Click here to watch the documentary. Cape Cod Broadcasting’s WKPE-FM Cape Country 103.9 partnered with the Cape Cod Melody Tent to organize a military food drive for the Ma Otis Food Pantry. Cape Cod Broadcasting ran a two week on-air campaign before collecting non-perishable food items at a Trace Adkins Concert. Ma Otis, an emergency food pantry located on Cape Cod, Massachusetts, is run by Military Spouses and Active Duty members that want to help fellow military and their families. “We were thrilled with the response of our listeners and of the concert-goers that brought items the night of the concert,” said promotions director Kim Lucas. “The highlight of the night for all of us was seeing some of the active military that were at the event to help with the food drive get to meet and pose for photos with Trace Adkins. A great event with an overwhelming community response, we were thrilled to make a significant contribution and bring much needed exposure to this deserving organization serving our communities military and families." Allbittron Communications Company’s WSET-TV Lynchburg, Va. launched the "Heroes From The Heart Of Virginia." The project helps local military personnel and their families reach out to each other during the holiday season. The project encompassed all parts of the station’s operations including on-air special programming, news stories, PSAs, a dedicated section of the station’s website, a Facebook page and a campaign to raise funds to send veterans to Washington, D.C. to visit war memorials there. Additionally, collection points were set up for non-perishable food items to be distributed to local homeless veterans. 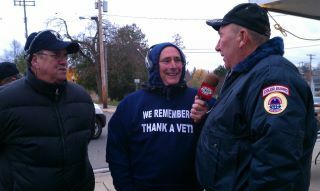 Lenawee Broadcasting Company-owned WLEN-FM Adrian, Mich.’s annual "Thank a Vet" fundraiser raised over $8,100 in 11 hours. WLEN-FM’s effort was part of the community’s broader campaign to help the homeless throughout the month of November. All donations went to the "Veterans Dire Needs" fund through the Lenawee Emergency Affordable Housing Corporation (LEAHC), a non-profit 501 (c)(3) organization that provides emergency, transitional and permanent housing support programs for the those in need within the community. Hearst Corporation’s WMOR-TV Tampa and Ringling Bros. and Barnum & Bailey donated tickets to military families at MacDill Air Force base in Tampa as part of the station’s annual Hometown Heroes promotion. WMOR’s Hometown Heroes allows deployed military personnel to provide holiday greetings to loved ones in the Tampa Bay area. Greater Media Inc. WTKK-FM Boston’s 4th annual Fisher House Radiothon raised $120,000 for Fisher House Boston, an organization that offers temporary housing near hospitals for families of wounded soldiers. Several politicians and celebrities joined Michael Graham in the broadcast, including, Sen. Scott Brown (MA), actor Adam Baldwin, former Defense Secretary Donald Rumsfeld, among others. More than 216,000 North Carolina residents served in Vietnam and 1,600 made the ultimate sacrifice. The USO of North Carolina and Charlotte Motor Speedway, with support from the North Carolina Association of Broadcasters, honored their service with an incredible Vietnam Veterans Homecoming Celebration. The event featured live entertainment, military salutes, recognized distinguished NC Vietnam veterans and premiered the new PSA supporting the initiative. David Kennerly, Vietnam Combat Photographer displayed a special exhibit of Pulitzer Prize winning Vietnam War photographs. The event was covered on nearly every broadcast radio and TV station in North Carolina. Since the beginning of the war in Iraq, KLBJ-AM in Austin, Texas, has held an annual one-day drive each November to make sure troops from nearby Fort Hood have the means to call home during the holidays. Starting three weeks before "Operation Call Home," the campaign becomes the station’s main focus. Recorded and live promotional announcements play every hour around the clock, raising awareness of soldiers’ needs and directing listeners how to help. The campaign also has a large presence on the KLBJ Web site. On the day of the drive, the station sets up donation points throughout the area, and the morning and afternoon shows broadcast live from the location designated as "Operation Call Home" headquarters. In the past five years, KLBJ listeners have donated more than $250,000 to the effort, providing thousands of soldiers with one-hour calling cards. Each year, after the donations have been totaled, officers from Fort Hood come to the station for a live broadcast during which they share what it means to be able to call home from a war zone and what it means to families to hear their loved one’s voice. Entercom Communications Corporation launched a company-wide campaign to assist families who lost loved ones to combat in Afghanistan. The campaign spanned 23 markets and 111 stations. Entercom Norfolk alone raised nearly $50,000 in donated goods and services for the Navy SEAL Foundation. On August 6, thirty American service members died in a helicopter crash in Afghanistan. Most of the victims were elite Navy SEALs, including several members of SEAL Team Six, the elite unit that killed Osama bin Laden. It was the largest single loss of U.S. life since the beginning of the 2001 Afghan War and is the largest single loss ever suffered by the SEAL community. The Navy SEAL Foundation provides support in times of adversity and recognizes the achievements of U.S. Navy SEALs. Greater Media’s WTKK-FM Boston helped the Fisher House build "homes away from home" for the families of wounded American troops. WTKK-FM’s 4th annual Fisher House Radiothon raised over $120,000 for Fisher House, which enables family members to be close to their loved ones during hospitalization in a safe, home-like environment. 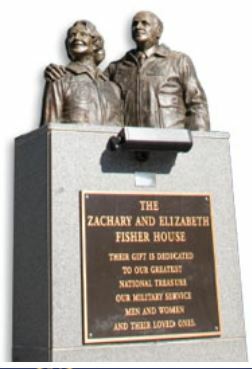 The Fisher House Foundation helps family members of hospitalized active-duty service members and veterans of Operation Enduring Freedom and Operation Iraqi Freedom. Additionally, the Foundation plays a crucial role in helping veterans recover from serious wounds. Entertainment Industry Launches ’Got Your 6’ Numerous entertainment companies including ABC, CBS Corp., NBCUniversal, Fox Audience Strategy and the Entertainment Industries Council recently launched the "Got Your 6" campaign to assist veterans in their transition from military service to civilian life. Got Your Six is a military expression that means, "I’ve got your back, and you’ve got mine." The campaign is based on six pillars – jobs, education, health, housing, family and leadership – to help veterans reintegrate into civilian society. The new campaign will span numerous media platforms, and the message will be woven into future television and movie scripts. A public service announcement campaign featuring several celebrities has also been developed. For more information about the Got Your 6 spots, click here. WTKK-FM in Boston, Mass., wrapped up the year with a radiothon and online auction in support of Fisher House Boston, a home for families of wounded and ill veterans. In total, the station and its listeners helped to raise more than $200,000 for the 20-suite facility at the West Roxbury VA Hospital, which is slated to open its doors in the fall. The Fisher House will provide veterans recovering from serious injuries and their families a supportive place to heal at no charge. During the three-hour radiothon, the community heard stories from troops and their families, as well as supporters of Fisher House, including Colin Powell and Oliver North. “Our troops have sacrificed so much for us, and WTKK is honored and privileged to show our support.” said WTKK talk host Michael Graham, who spearheaded the radiothon and has traveled to Iraq, Kuwait and Germany in support of our military.